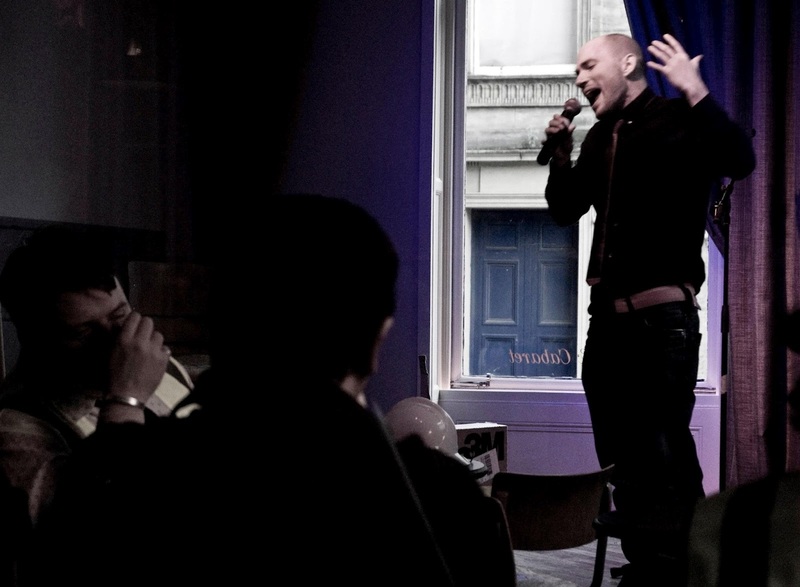 Glasgow has a new cabaret venue! It's called The Riding Room and it can be found at 58 Virginia Street (formerly Moda, connected to the Polo Lounge). I had the pleasure of performing there on their "hard hat" preview evening last Wednesday (picture above), as well as the Friday and Sunday nights of their opening weekend. And I will be performing there again tonight, with a variety of other brilliant acts, from 9.30pm. Expect comedy, music, burlesque, magic, spectacle, verbal gymnastics and artistic oddness.